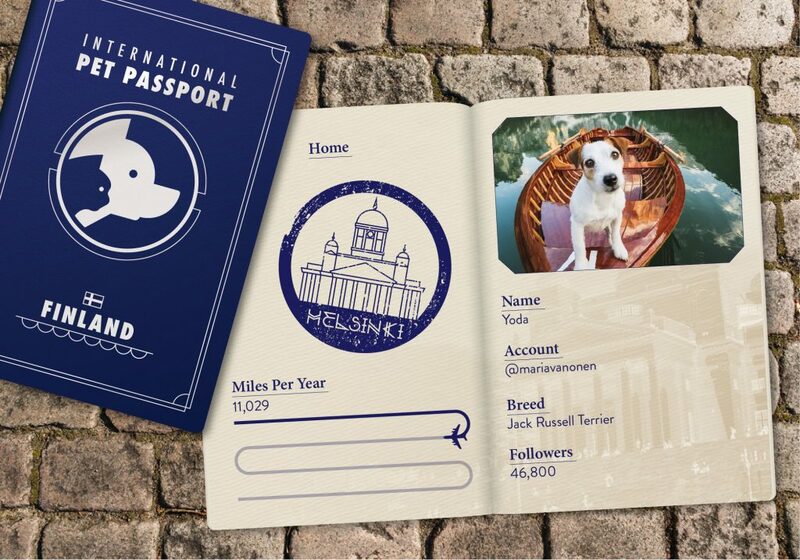 Everyone knows about travel bloggers, but in recent years we’ve seen a new trend taking the internet by storm – jet set pets. Travelling pets are a new Instagram phenomenon, with an increasing number of furry friends having their own social media accounts to document their worldwide travels. But which have traveled the furthest? We decided to find out once and for all, taking 15 of the most popular jet set pets on Instagram and tracking their journeys around the globe. Keep reading and maybe you’ll find some inspiration to take your furry friend with you on your next holiday. Coming in second place is another delightful pair of parson russell terriers, Max and Louise. 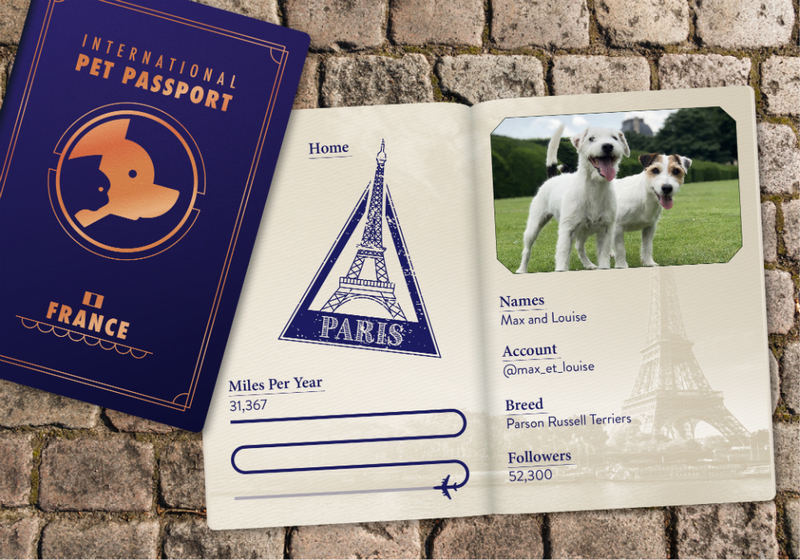 Born in France, Max and Louise have spent time living in Lisbon and São Paulo, before settling down in Paris. 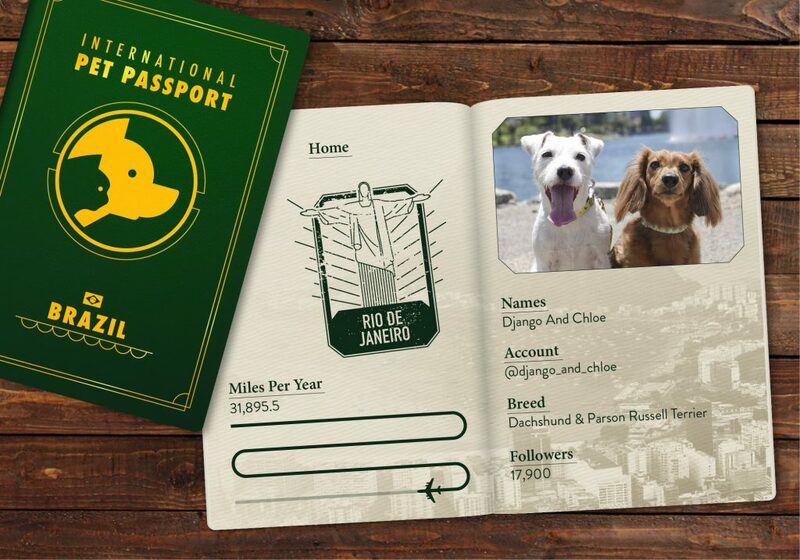 As well as traveling the globe, this duo list ‘shopping, fine cuisine and water sports’ as some of their interests – it’s a hard life, eh? With a whopping 1.7 million followers on Instagram, Loki is the most popular pet on our list. An adrenaline junkie just like his owner, this good boy has been seen paddle-boarding, canoeing and even snowboarding, with his owner capturing everything on bodycam! A chance encounter with a stranger carrying a box of kittens led to army veteran Stephen Simmons adopting Burma on the spot. The pair have been inseparable ever since, trekking across the USA, taking hikes, swimming in lakes and climbing mountains alongside Stephen’s adventure-loving dog, Puppi. 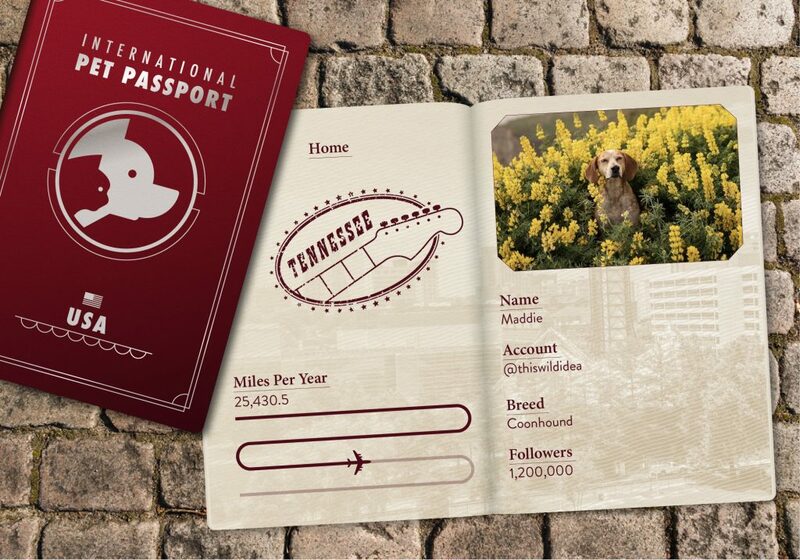 Coonhound Maddie has become so insta-famous during her travels that she’s also been the star of two books. 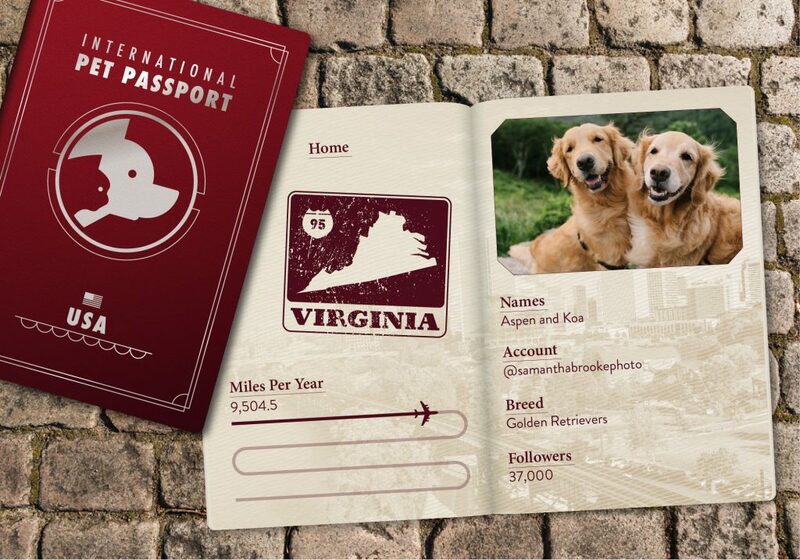 The books document Maddie and owner Theron Humphrey’s journeys across the USA from a (rather sleepy) dog’s perspective. 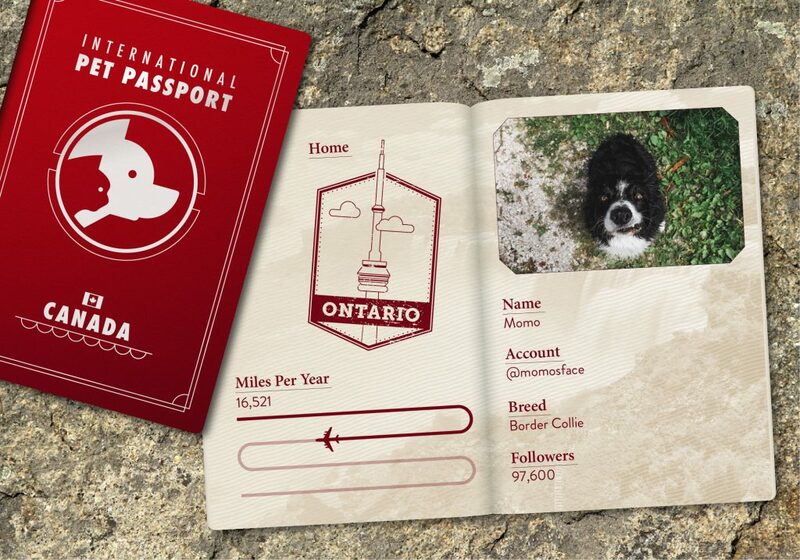 As well as travelling across North America, well-trained border collie Momo has visited the UK, Portugal, Spain and more, but you’d never tell! His Instagram account (@momosface) is literally just made up of shots of… Momo’s face – simple really. Unlikely pairing Henry and Baloo first became friends in October 2017, and have been adventuring across the Colorado wilderness ever since. From the looks of their Instagram account, it seems like Henry’s head is Baloo’s favourite place to perch! 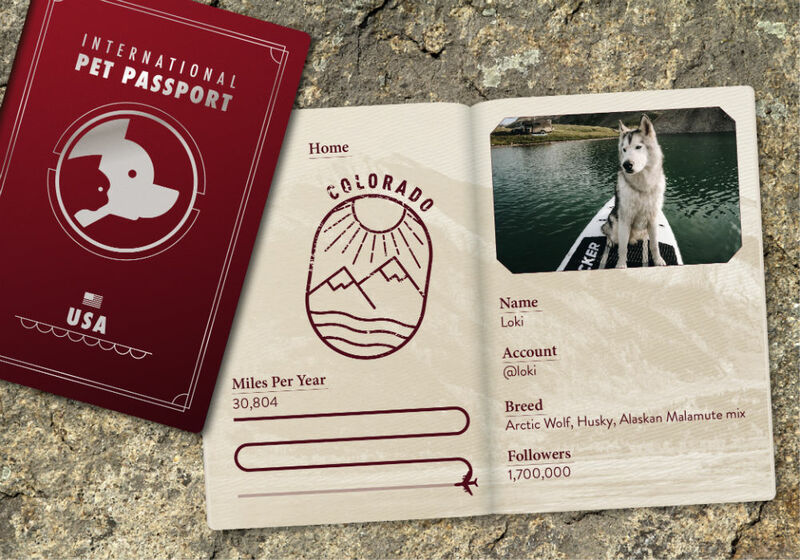 Based in Helsinki, photogenic Yoda has travelled further north than any other pet on our list, narrowly beating Loki with an adventure to Napapiiri in the Arctic Circle in April last year. But it’s not all snow and ice, Yoda has also traveled around Europe, visiting Italy, France, Germany, Switzerland and more. 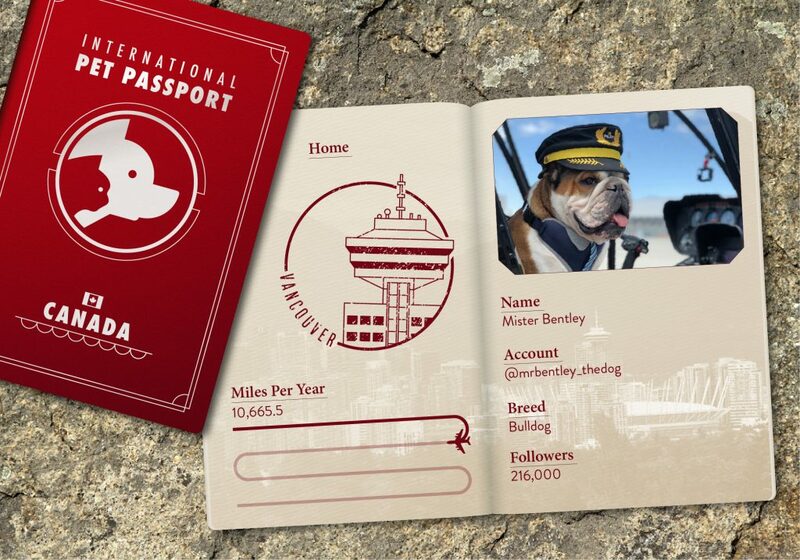 One of the most dapper pets on our list, English bulldog Mr Bentley definitely knows how to travel in style. He regularly accompanies his owner on helicopter trips, and even has his own pilot’s uniform. Dubbed the ‘Kim Kardashian of the canine world’, Norm the pug has made a name for himself thanks to his fantastic range of dog selfies. His owner, professional photographer Jeremy Veach, can take some of the credit too, we suppose. What’s better than one golden retriever? Two of course! This pair of photogenic pups regularly accompany their owner on camping trips, and are more than happy to pose for some adorable photos along the way. 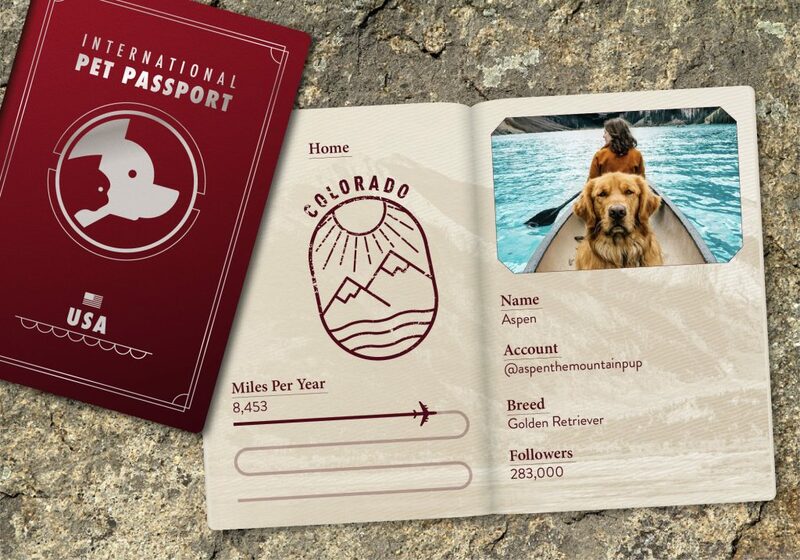 With a perfectly suited Instagram handle, Aspen the mountain pup is just that, a gorgeous golden retriever that loves nothing more than having adventures in the Colorado mountains with owners Hunter and Sarah Lawrence. 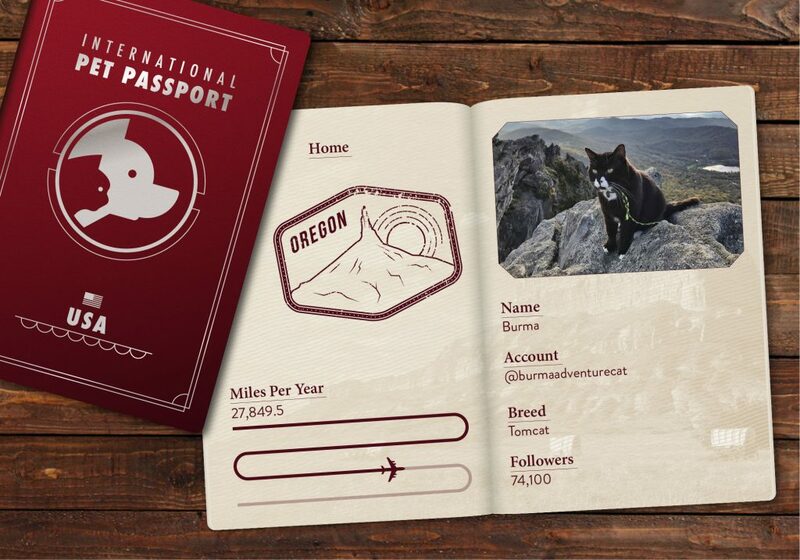 The second feline on our list, Willow is a rescue cat who is living the traveler dream. Back in 2015, owner Rich quit his job and sold his house and belongings. Since then, he and Willow have been traveling around Australia, living out of a van and having the time of their lives. Chapati is quite a special pup. Found on the streets of Kochi, India her life turned around after Ukrainian couple Eugene and Kristina decided to adopt her. 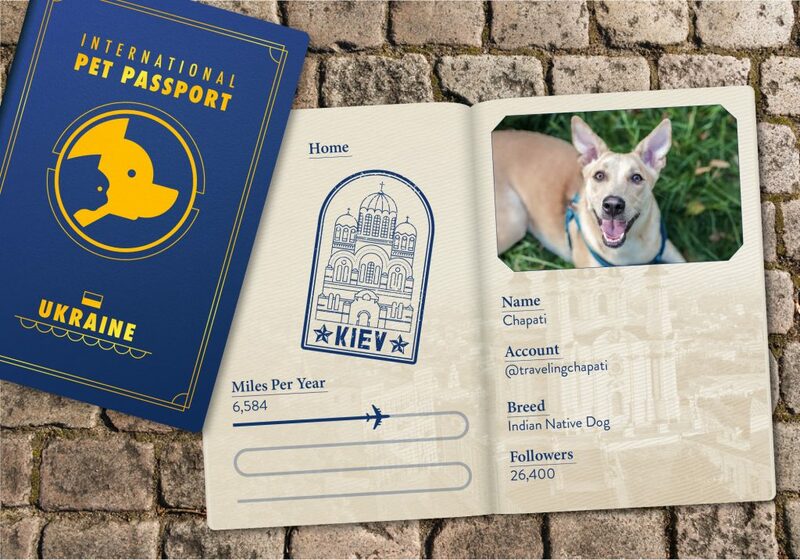 Since then, Chapati has never left their side, following her owners around the world and visiting a whopping 14 countries along the way, from India and Thailand to Italy and Austria. 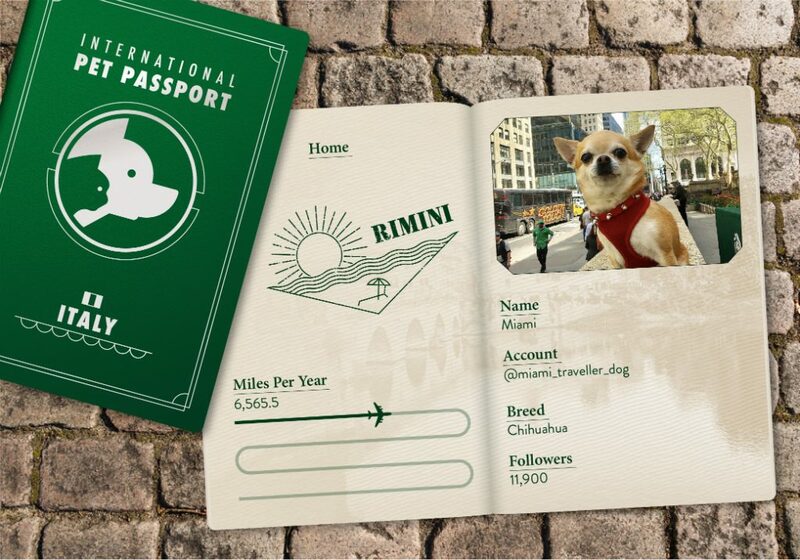 Last on our list, but by no means least, is Miami the Italian chihuahua. Over the years, Miami has accompanied owner Marianna Chiaraluce and her husband around the world, as they worked tirelessly to launch their new hotel in Riccione, Italy. If these adorable jet set pets have inspired you to take your four-legged friend on your next trip away, why not take a look at our full range of dog friendly holidays? Please note, this information is purely for entertainment purposes and may not be 100% accurate or definitive. 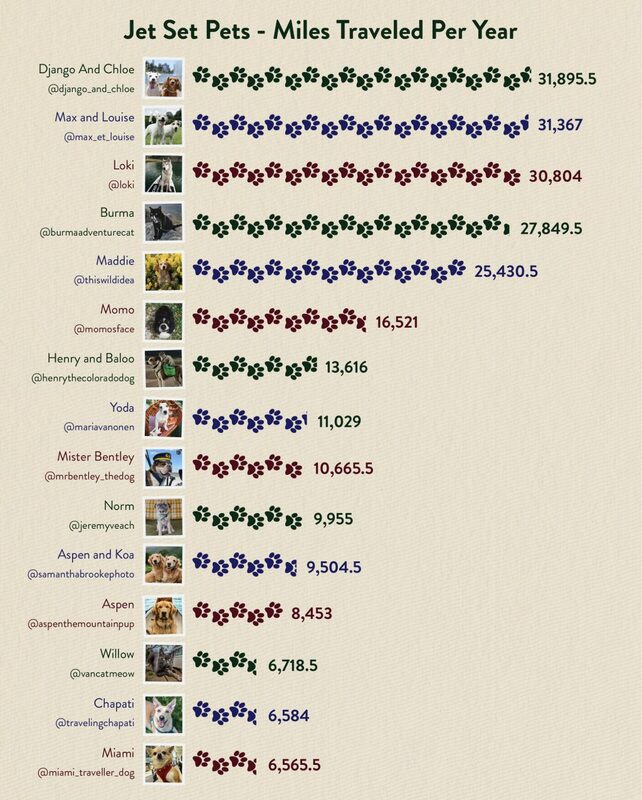 The average yearly mileage for each pet was based off the past 2 years of travel from each account, looking at photos where the account had tagged a specific location. Hounds on HolidayHow much are the world’s best beaches really worth?